I’m a history junkie. You may as well find out from me before you hear it on the street. I love reading about and seeing pictures of people that came before me, and realizing that some things are indeed eternal. The mundane things intrigue me. Skip the wars, the alliances, and the dynasties. My number one question is always, “What did the toilets look like?” It’s not that I’m obsessed with bodily functions, believe me. The fascination lies in finding out how people existed for millennia without all of the modern conveniences that I take for granted. Like most of you, I took a lot of history classes throughout my years of schooling, and many of them completely ignored the fact that the events they discussed were perpetrated by human beings who thought, felt, and digested. Early on, Ms. Collins brings up the regrettable fact that too many women’s stories are lost to us because those involved didn’t read or write. Native American women lived on the continent for thousands of years, but very little of their history is available to us. The parts that are mainly involve their interaction with European invaders. Still, she informs us that many of the different nations had women acting as their sachems, or primary leaders, and introduces us to rulers like Wetamo and Awashonks, who tried to navigate their people through conflicts with the English. One died in battle, evidently so feared that they felt the need to display her head on a pole afterwards. The other was one of the few who managed to negotiate a peace. Mary Johnson may have been the first African American woman. She arrived sometime before 1620 as the maid of a Virginia planter. Like white women, the black residents of the early southern colonies found opportunities in the general chaos around them. Johnson and her husband were indentured servants, and once they earned their freedom, they acquired a 250-acre farm and five indentured servants of their own. By the mid-seventeenth century, a free black population had begun to emerge in both the North and the South. African-American women, who weren’t bound by the same social constraints as white women, frequently set up their own businesses, running boarding houses, hair salons, or restaurants. Catering was a particularly popular career, as was trading. Ms. Collins goes on to tell of the sad demise of this thriving black society, as white people felt more and more threatened and legislated the African-American businesses out of existence. One of the running themes of the book is that society has to reach a measure of success before bigotry and sexism are able to thrive. She doesn’t go so far as to say that we are all blissfully egalitarian in small groups, but points out places where women worked as field hands and interracial marriage was legal, because there were too few people around to worry about what anyone else thought. 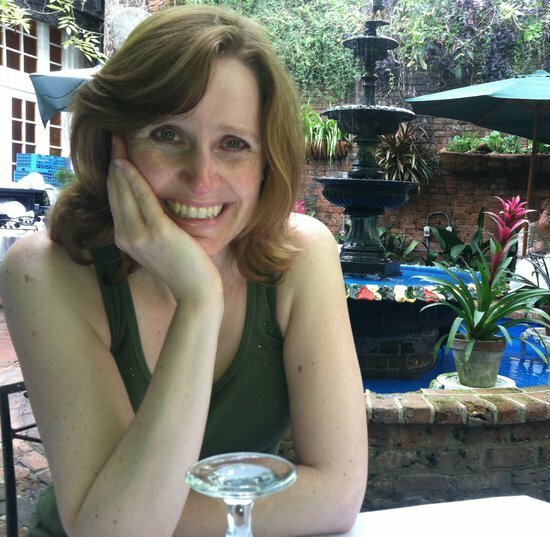 Sarah Breedlove Walker – Before there was Paul Mitchell, before there was Vidal Sassoon, there was Madame C.J. Walker. The daughter of people who were once slaves, an orphan at seven, a wife at fourteen and a widow at twenty, she invented a hair-conditioning process to remedy her own hair loss. Going on to establish a beautician’s college and a line of hair care products, she trained an army of a thousand “Walker Agents” to sell her product door-to-door. In 1914, Ms. Walker became the first African-American millionaire, and the first self-made female millionaire of any color in the United States. Margaret Knight – A child laborer in a New England textile factory, Ms. Knight witnessed a machine accident and thought up a solution. Twelve years old at the time, she created a mechanism to shut off the machine if something got caught in it. This injury-preventing apparatus was in use in mills by her thirteenth birthday. She later created a device to create flat-bottomed paper bags. (A version of it is still in use today.) A man spied on the creation of the prototype and got the patent for the idea. Ms. Knight took him to court. He argued that a woman couldn’t possibly have invented such a thing. She proved him wrong and received the patent in 1871. She went on to receive patents for more than twenty other inventions. Cixi, Dowager Empress of China – My history classes were pathetically Euro-centric, or this woman would probably have forced her way into the landscape right along with Elizabeth I and Catherine the Great. A minor concubine of Emperor Xianfeng, she likely would have disappeared from history had chance not made her the mother of his only son. Xianfeng died when the boy Tongzhi was only five, so Cixi and Ci’an (Xianfeng’s senior wife) became regents for him. They were the de facto rulers of China until he came of age. Tongzhi died two years later in what was probably not an accident. His pregnant wife, Alute, died shortly afterwards, leaving Cixi room to designate an heir. (Officially Alute’s death was ruled a suicide.) 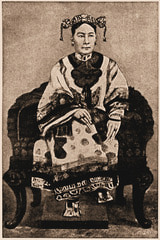 Cixi handpicked her three year old nephew Guangxu to take the throne. Again, she and Ci’an held the reins for an under-aged ruler. Ci’an died in 1881, leaving Cixi as the sole real power in the country. Guangxu eventually took over and lasted a couple of years until he lost a war with Japan in 1895. At that point, Cixi staged a coup and set herself up as the regent, more or less imprisoning the emperor in the palace. Guangxu died the day before she did in 1908, and there were rumors that she had a hand in that too. Women. We’re not always nice, we’re not always pretty, but we’re always more capable than we’re given credit for. After all, there’s a reason they call necessity the “mother” of invention. Stay tuned. Next blog: how women get the vote in 1920, and why this should be bigger news than we’ve been taught. Kimberly is going to get some sleep, to open her mind to any inventions or political machinations she may be repressing. Thanks Kimberly! Sounds like a great book – hope there is an e-book edition. It is so sad how much of women’s herstory has been lost and how much we don’t know. They say if we don’t forget history, it won’t repeat, but when it’s kept from us, distorted (like Catherine Greene laying out the idea for the cotton gin), and dismissed as unimportant, women are bound to still be oppressed- no wonder much of it has been excluded. Thank you for introducing us to these amazing women! Great blog post! Always love reading! Definitely need to plan a trip out here, Ms. History Buff! We can tour Louisa May Alcott’s house….very interesting. You would LOVE it! You have a great, great grandfather who has a patent. The genes are there for you to be an inventor, too.